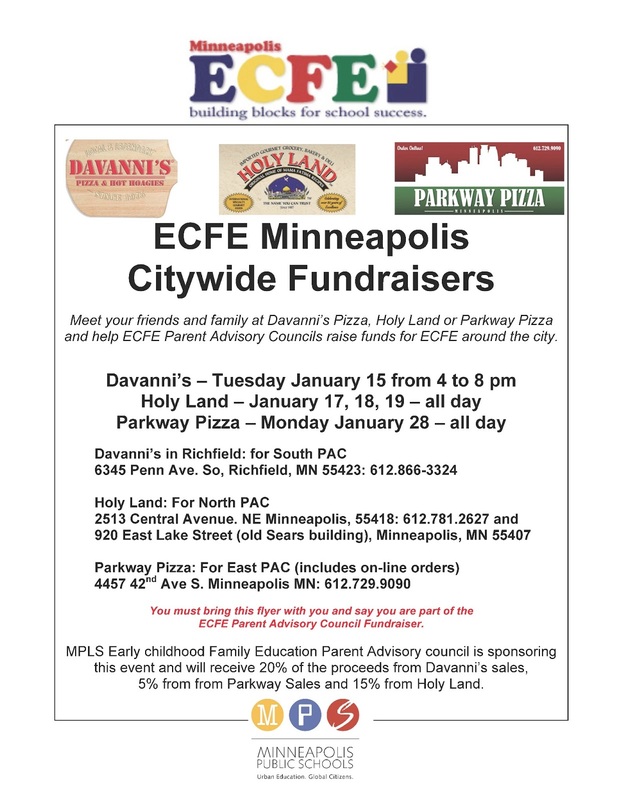 Minneapolis ECFE Parents Council: Citywide ECFE PAC Fundraiser! This Tuesday, the 15th, from 4-8pm at the Davanni's in Richfield, 20% of your order will go to help the PAC! Just bring your flyer from ECFE or print out the flyer below, and mention the fundraiser when you order. Davanni's has lots of menu options for every kind of diet, and is super kid-friendly. Bring the family or order it to go!